After a week of good weather, on the last day of my Pyrenées trip (last thursday), it was raining and cold. But I figured I could still sneak up Col de Portillon before the long drive home. 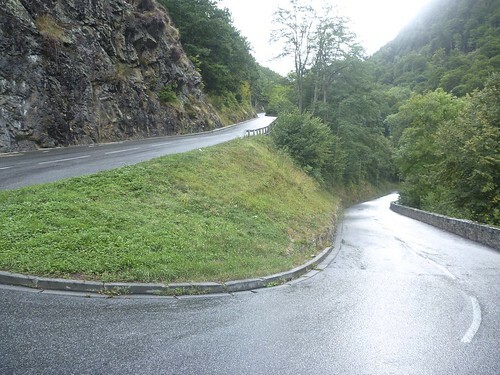 Starting in Bagnères de Luchon, it’s just a 10 kilometre climb to the Col perched on the French / Spain border. It was far quieter than I expected – being a road linking two countries. Occasionally very steep, it was scenic enough and I am glad I braved the elements to have a quick look. I was itching to do the other side for my first ever climb in Spain, but it was very cold and wet and I was nervous it mght get even worse. Oh well, next time. 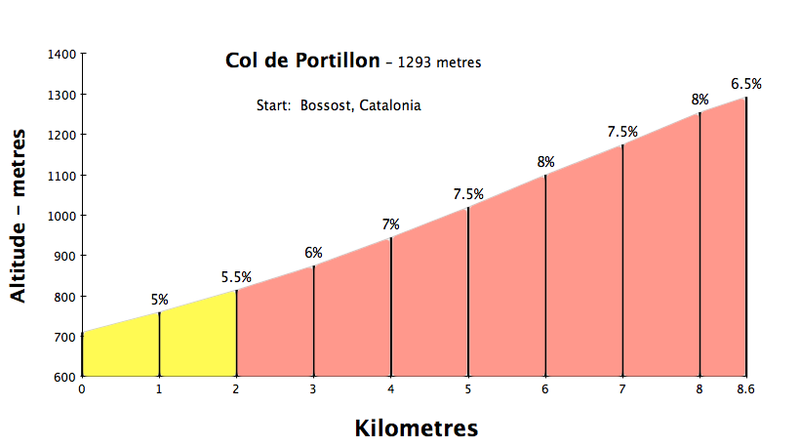 I have included the Spanish elevation profile just for info. Below, A Spanish Col sign ! 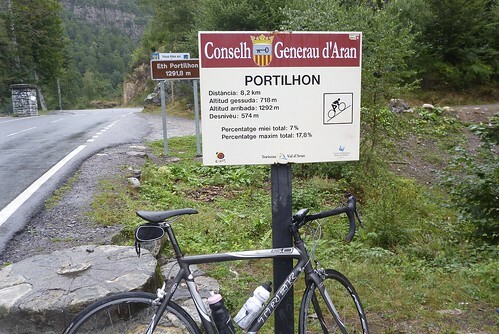 I did the Portillon on a cold wet tour day having done the Peyresourd in the morning. I thought it was a great old world climb. I also thought it was one of the hardest on my Pyrenees traverse.